I don’t normally do posts about recipes and cooking. Because, well, I don’t really enjoy doing it. It’s not because I can’t, it’s just a lot of work and mess for 20 minutes of enjoyment. Also, food just tastes better when someone else is doing it for you. With that being said, I must say the things I do decide to make are amazing. My Grammy’s huluski is one of them. 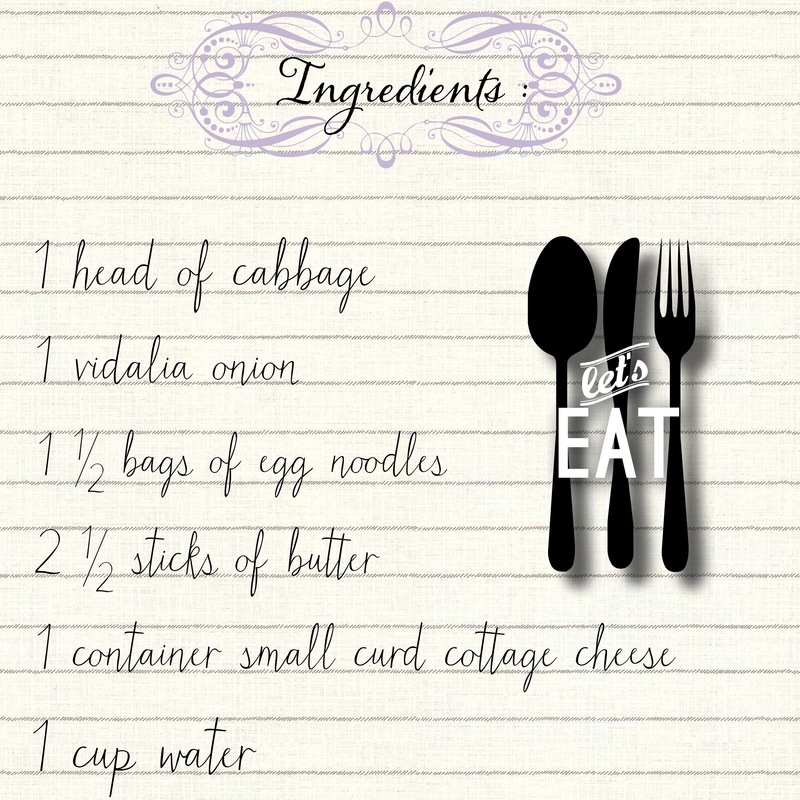 Haluski, or cabbage and noodles, is a delicious Slovak dish made with a few simlple ingredients. There are about 300 different recipes on the internet, but look no further because you found the best one. This is my Grammy’s recipe. She used to make this for my dad when he was little and it was his favorite dish. When I was little my dad made it for me and it became my favorite. Now, I make it for Pete and it’s now his favorite dish that we make. Trust me, you want to try this out. 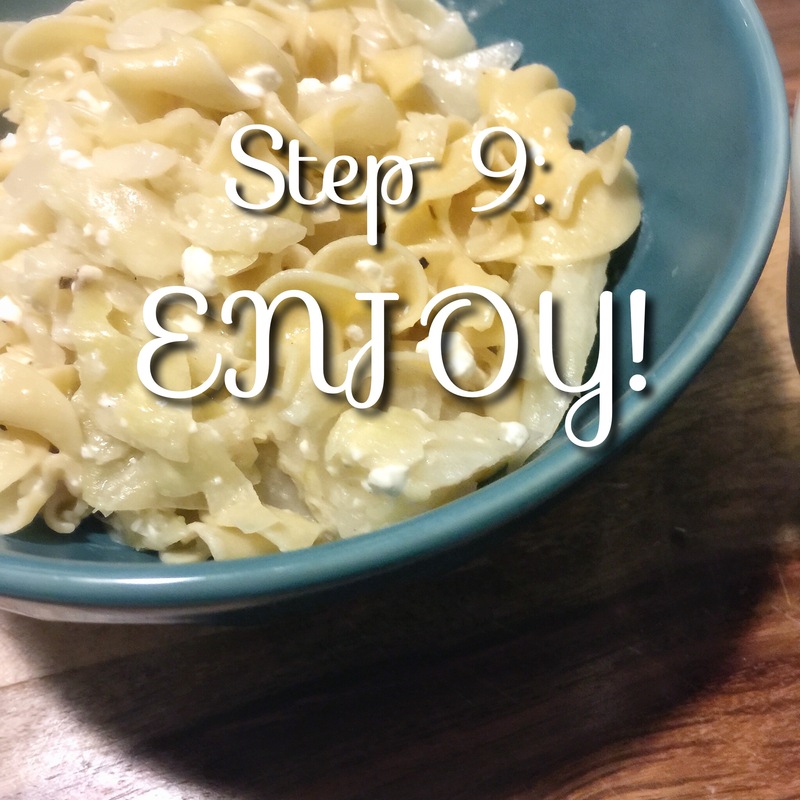 It’s perfect for fall and winter and this recipe makes a ton. I might be a little embarrassed to say this, but Pete and I have eaten this for lunch and dinner for as many as 4 days in a row, until it was all gone. It’s that good and it gets better after you reheat it. Trust me. 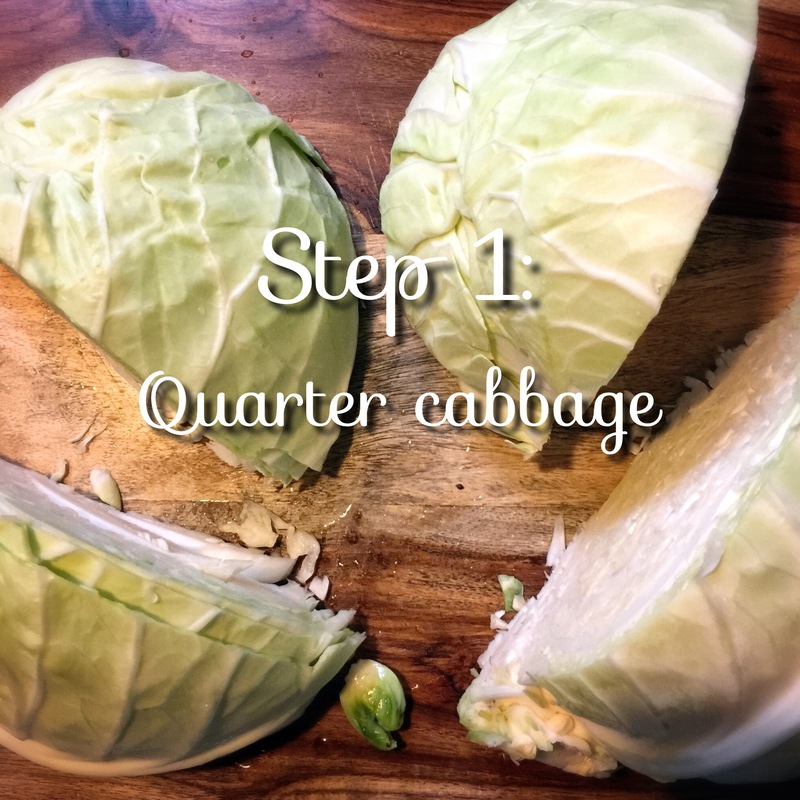 Remove the first 2-3 leaves of the cabbage and the quarter like so. 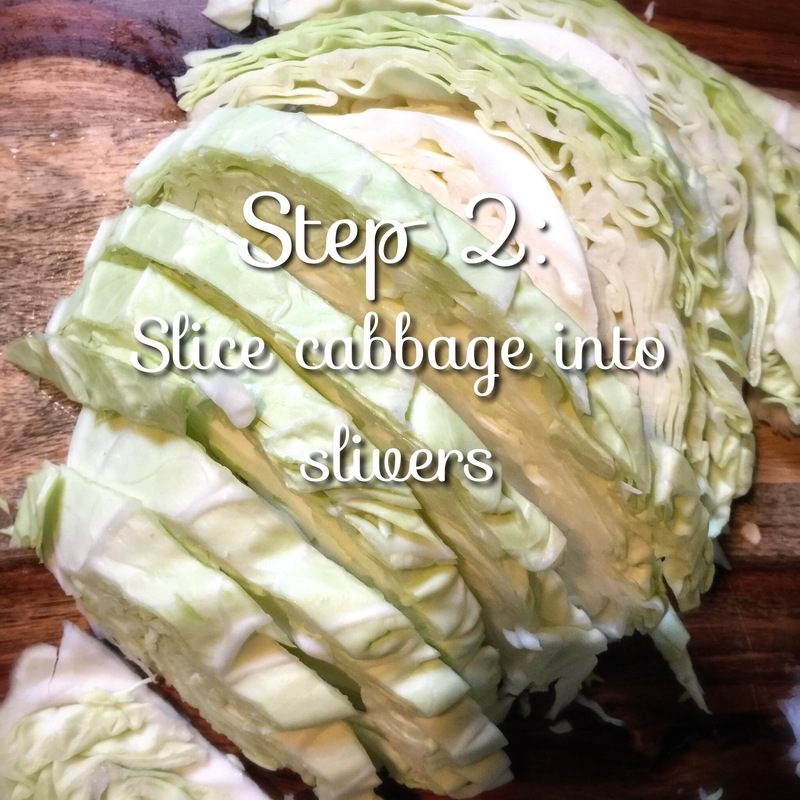 Remove the tough core of the cabbage and throw away. 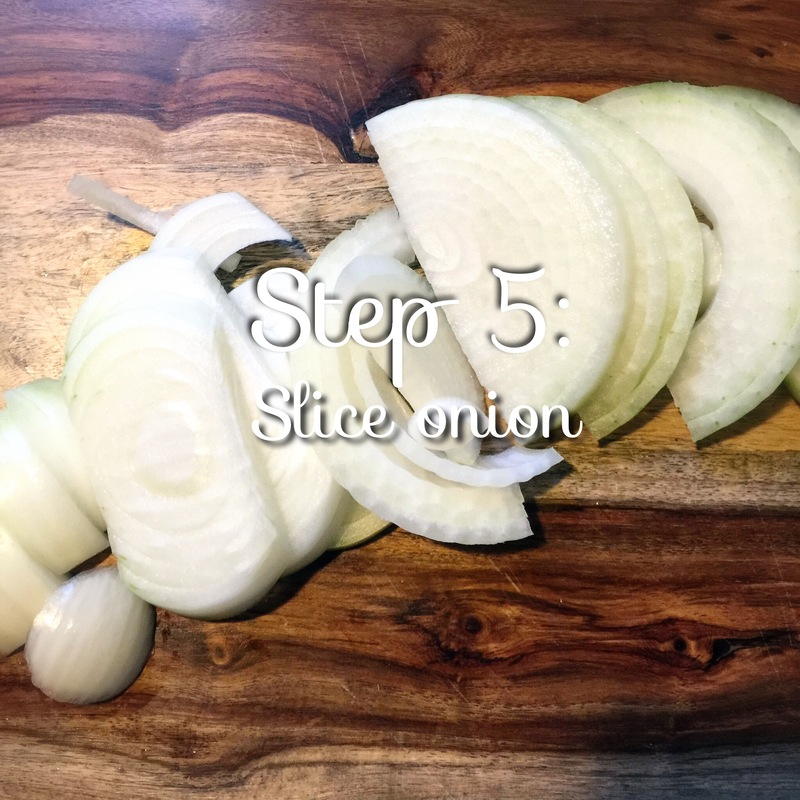 Slice each quarter of cabbage into quarter of an inch slivers. Put aside in bowl. 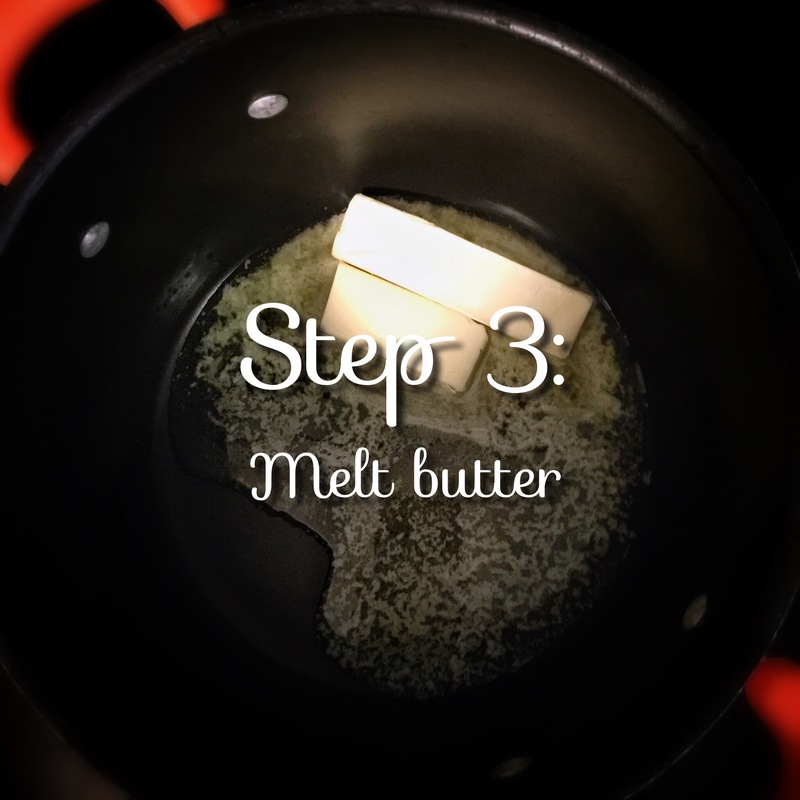 Melt 1 1/2 sticks of butter. Careful not to burn. add all of your cabbage to the butter. 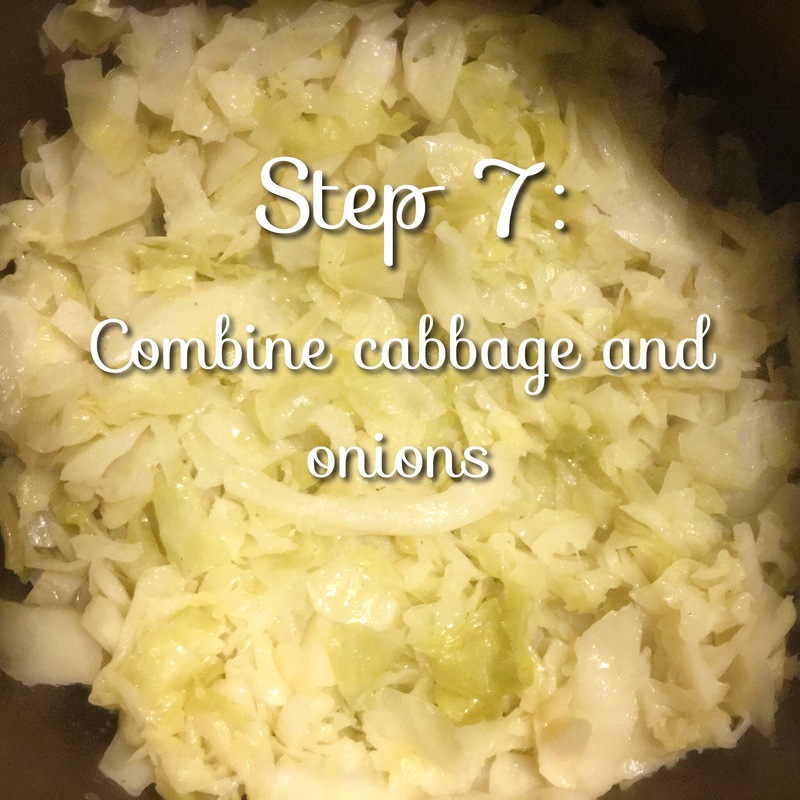 It’s helpful to add a cup of water into the cabbage as well. 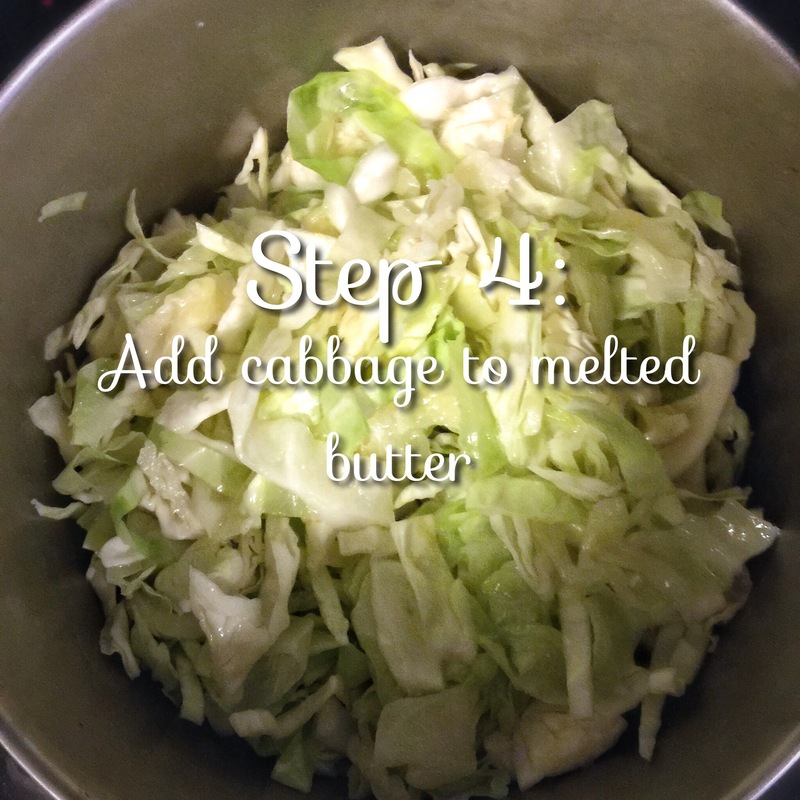 Simmer the cabbage with the lid on and stir it every 10 minutes for about an hour. 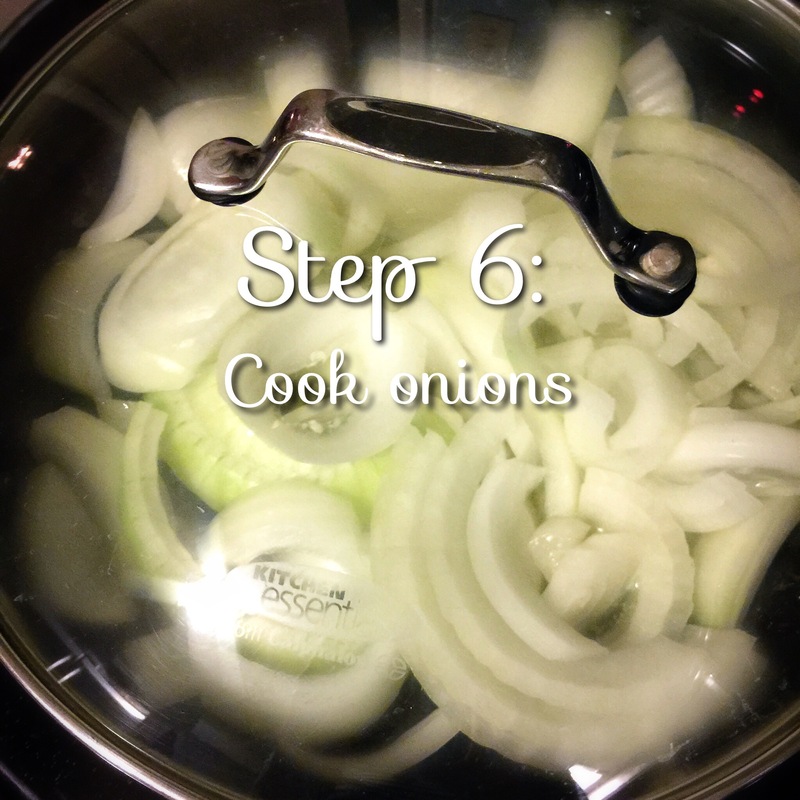 In a separate pan cook onion with 1/2 stick of butter on med/low with lid on until onions look opaque. Around 15/20 minutes or so. Add the onions to the cabbage. Test out the thickest piece of cabbage you can find. If that is soft, then the cabbage is done cooking. At this point you can boil your 1 1/2 bags of wide egg noodles. Once those are done, add them into the cabbage. 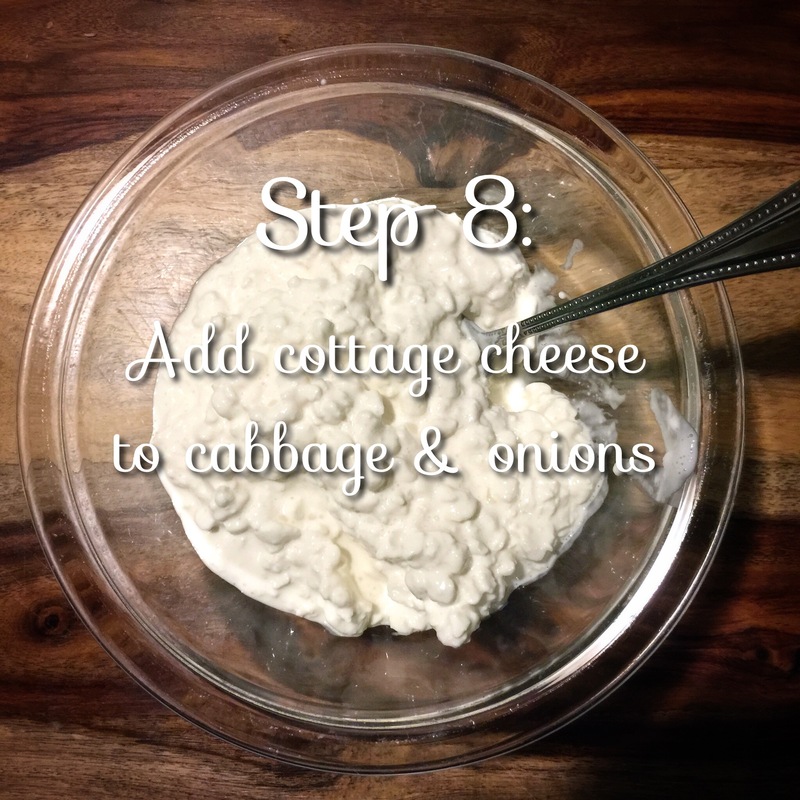 I usually buy an 8oz container of small curd cottage cheese and add at least half. You can’t over do it, trust me. Mix it into the cabbage. Salt and Pepper to taste. Add the entire mixture to about a bag and a half of extra wide egg noodles and mix it all up! This recipe shouldn’t take more than an hour and a half. The best part is you can’t overcook anything. Serve it up alone or with some kielbasa and you are in for a tasty meal. I actually prefer cabbage and noodles the next day, once everything sits overnight and soaks up all the buttery goodness. Posted in Culinary CreationsBookmark the permalink. I’m totally drooling. 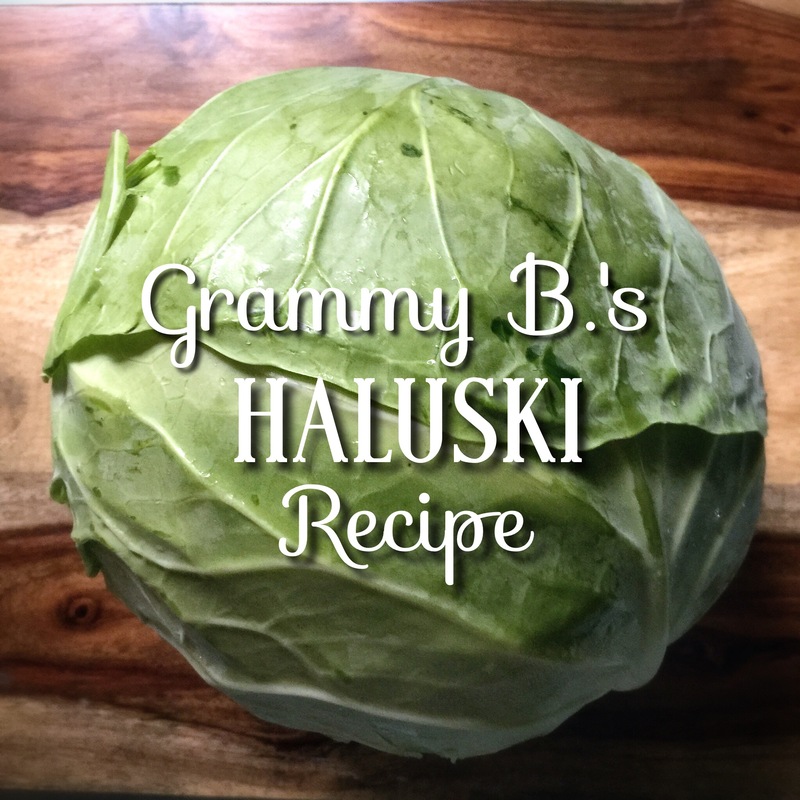 I’ll be making this next week – thank you for sharing such a special family recipe! oh my gosh! You are so welcome! I’m so happy you are going to make it- you will love it! !